Hi! It’s been busy in Anna’s world. I had two releases within two weeks, one from spicy Isabella and the other from sweet Anna. Today, let’s talk about Anna’s latest, A Cowboy’s Promise. This is book two in The Promises Trilogy. 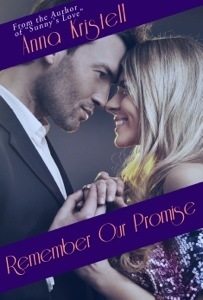 A bit of back story, when I wrote Remember Our Promise in 2012, it was intended to be a stand-alone. But after its release, in August 2013, several readers asked that I make it into a series, so I decided to write a trilogy. 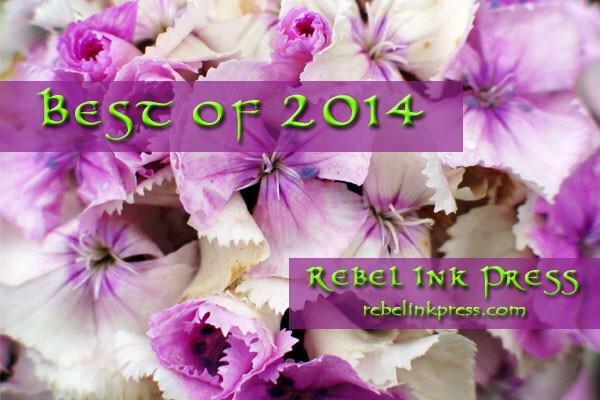 I spoke to my publisher, Rebel Ink Press, and E agreed that it was a good idea. It took a while for me to work it into the writing schedule, but finally book two took shape and was released on January tenth! In the first book, you met Valerie Kennedy, who was Lily’s assistant at the publishing house she worked for in New York City. Now, some years later, Val is having some issues of her own, and takes a vacation to visit her old pal, Lily, in Texas. You guessed it, she meets a guy! Valerie Kennedy is feeling restless. Bored with her life in New York City, she finds herself searching for something more. She dreams of peace and serenity. Love has eluded her until she decides to pay a visit to her old friend, Lily Black, in Texas. There she is introduced to hot cowboy, Levi Ridgeway. Her first impression of him isn’t good, but as she spends more time with him she discovers that Levi and Texas might just hold the key to her happiness. The pot is sweetened by an offer to join Lily as a partner in her publishing company. When one crisis after another forces Val to stay in New York and put important decisions on hold, will she let her dreams fade away and give up the only man she’s ever loved? “What made you decide to become a cowboy?” she asked. “You took riding lessons?” he asked with interest. “I’ll pick you up at one,” he said with that lopsided grin he sported so many times when he looked at her. Val watched in fascination as the members of the band quickly finished setting up and adjusting the sound. She was looking forward to hearing a Texas country band. Although she’d grown up with the ballet and classical music, she enjoyed listening to modern country on the radio occasionally. Lily had done that to her during the time she had lived in New York. Lily had taught her a great many things. Just as the other girl had often said Claire was her mentor, Val had to admit that Lily was hers. She loved her like a sister. The band started out with a fast-paced country tune. Several couples were on the dance floor along with a group of young girls who seemed to be celebrating a bride-to-be. After a few more of the same, line dancing was in full mode. Val watched with interest. “Lily does that?” she asked. “Cut a rug?” Val asked. Val allowed him to lead her to the gleaming wooden dance floor as if she were in a dream. He took her in his arms and pulled her close. The musky male scent mingled with his cologne and she sighed. He pulled her even closer. They were barely moving on the floor but the smell coupled with his touch was doing strange things to Val. She was experiencing a feeling she’d never felt before. It was a feeling of excitement, almost a tingly feeling, but most of all she felt safe and content in his arms. She was feeling an intensity with him that was a new sensation for her. Levi leaned down and kissed the top of her head. It sent shivers down her spine. When the song ended, he didn’t release her immediately. It was as if he’d felt the same feelings she had felt, like he didn’t want to let her go. She could have stayed on that dance floor in his arms forever but the band had other ideas as they moved into another fast number. “I guess that’s our cue to go back to our table,” he whispered as he released her and took her hand. He led her back and pulled out her chair for her. Neither of them spoke for several minutes. When they did, they both tried to talk at once. “You go ahead, ladies first,” he offered. “Why, thank you, ma’am,” he said in an exaggerated drawl. “Now what were you going to say?” she asked. “I wonder what else we have in common,” he replied seriously. I hope that interested you. The third book in the trilogy will feature Claire, Lily’s mentor, friend and former boss. At the end of book two, you’ll find out that her life isn’t perfect and in book three that trend will continue as she struggles to reunite with a lost love. A Forgotten Promise will have you in tears as you watch the recent divorcee and the love of her life, recently widowed, with four children to raise, find their way back to each other.